US Army armored support vehicles. Model airplanes ships aircraft aviation. Die cast aircraft models. 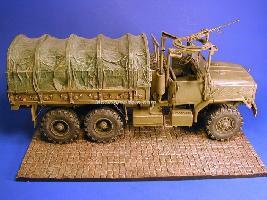 To inquire about pricing for any of these highly detailed custom built models email Joel Rosen or call 1-800-866-3172. 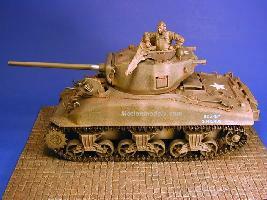 The American M4A1 sherman tank. 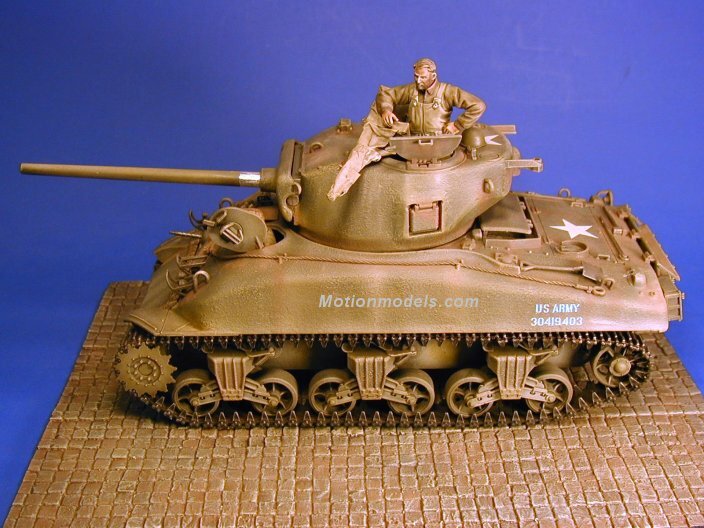 Put into production after America entered into WWII, the Sherman tank (Named after Civil War General Tecumseh Sherman of the Union Army) was the front line tank of hte US Army. During the war many Sherman tanks would be re-armed with the more powerfull 76mm long barreled anti-tank gun. Used in Africa, Italy, Europe, and the Pacific rim, the Sherman tank came to symbolize American industry and might. 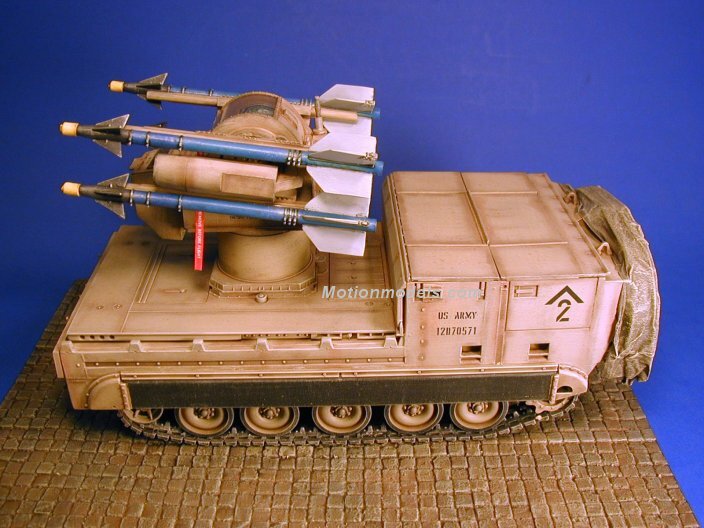 The M730A2 Chapparel is a short range anti aircraft missile system developed to give the Army some autonomous air defense capability using off-the-shelf components. The missile system is the venerable heat-seeking sidewinder, modified for ground to air service. The Chassis is based on the M548, a member of the M113 family. Although it has been in service for many years, it is still a viable and valuable system in many countries service. 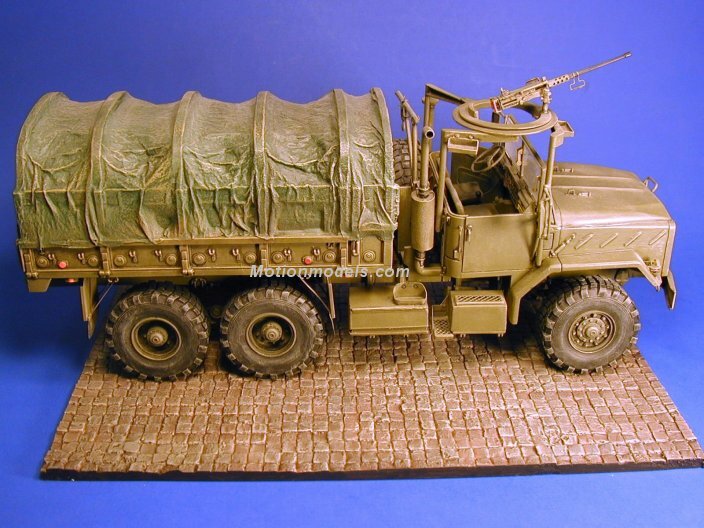 The M923 series 5 ton truck, a common sight wherever the US military is, is a dependable vehicle that has been changed into many varaints to serve the militaries needs, from wreckers to tractor trailers to dump trucks. This vehicle is in service with many countries around the world and will continue to be seen well into the early 21st century. In conjunction with the 2 1/2 ton truck, the M923 series has continued the legacy of the American truck maintaining the lifeblood of the fighting military through support and supply.